The Jeffrey Mine in Quebec's Eastern Townships has received a $58-million boost from the province to help revive the asbestos industry, a move the Canadian Cancer Society is urging the government to reconsider. The asbestos mine in Quebec's Eastern Townships received the loan from the provincial government after years of negotiation and despite heavy opposition. "This decision means the Quebec government is in direct conflict with global cancer control as all forms of asbestos cause cancer. "We believe these funds should instead be directed to projects to help the affected communities diversify their economic base." According to the society, about 107,000 people die annually from disease related to occupational exposure to asbestos around the world. Bernard Coulombe, the president of the Jeffrey Asbestos Mine, and Richmond member of the national assembly Yvon Vallières held a press conference on Friday to announce the funding. François Vaudreuil, the union president, says "workers of the mine can rejoice. It's the end of a decade-long fight." 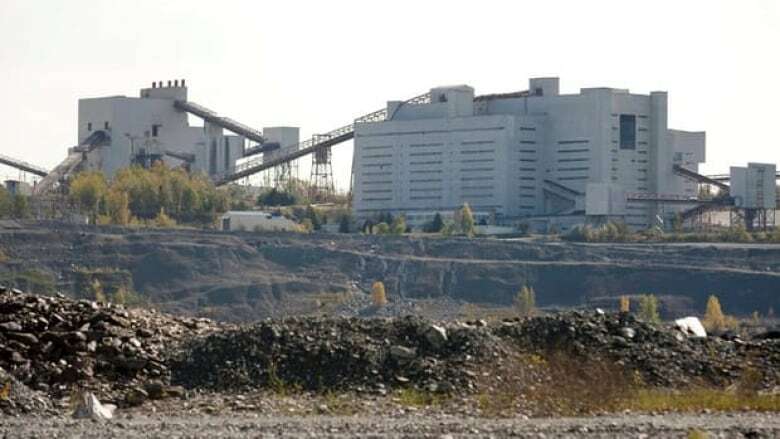 The mine's management expects this funding will create between 400 and 500 direct full-time jobs for a period of 20 years in the town of Asbestos, while 1,000 positions indirectly related to the mine will also be created. Vallières said the mine will have to repay $1.5 million along with interest fees for a period of 15 years between 2015 to 2031. The first $7.5 million will go directly to a fund targeting economic diversification for Quebec's Eastern Townships region. August 2011: Balcorp mentions its desire to reopen the Jeffrey Mine. February 2011 : The government imposes inspections of factories in India to assure buyers were using asbestos safely before guaranteeing the loan. April 13, 2011 : The Quebec government announces it is willing to loan $58 million to Balcorp as long as the company can raise $25 million before July 1, 2011. July 1, 2011: Balcorp could not raise all the funds. The government pushes the deadline to Aug. 15. Aug. 15, 2011 : Balcorp fails to raise all of the required money. The government pushes the deadline to Oct. 1, 2011. Oct. 1, 2011 : The company claims it has raised all of its necessary funds with the help of three partners in three different countries. Verifications are to be made by government authorities. "We all know that this is an important step for our community. It guarantees a future, stimulates the local and regional economy. It also helps keep our youth with us," said Vallières. At the press conference, Vaudreuil praised the Quebec government for its "responsible decision and courageous decision." "The government took a courageous decision by supporting the reopening of the Jeffrey Mine. This government stood up against people who used propaganda and who used public health to make others believe that we should close the mine." According to reports, paperwork for the loan was finalized in early June and Coulombe was only waiting for the final authorization to guarantee it. Balcorp Ltd., the company looking to revive the asbestos industry in Quebec, hopes to export its products to developing countries. The company will be auditing buyers' factories in order to ensure proper and safe usage of asbestos. A deal has already been signed with buyers in India. The Quebec government supports the cause and promised a loan of $58 million if Balcorp invests $25 million in the project. The project is heavily opposed by a multitude of groups and organizations, but Vaudreuil says safety is not an issue. "We have found safe ways for workers to handle asbestos." he told reporters. "A lot of research has been done over the last 10 years." Since Quebec's support was announced in April 2011, many groups have tried to convince the government to retract its offer to Balcorp. In November 2011, families of workers who died from illnesses linked to asbestos opposed the project, saying people in developing countries would be exposed to a carcinogen exported from Canada. The Canadian Cancer Society claimed the funding from the Quebec government would tarnish Canada's international reputation in the public health sector. Hundred of scientists from 28 countries urged Premier Jean Charest to recognize the risks of exposure to asbestos and end the product's export. Étienne-Alexis Boucher, member of the national assembly for Johnson, said Quebec should have heard the results of a parliamentary commission on the issue before guaranteeing the loan. Québec Solidaire MNA Amir Khadir proposed a bill to ban the export of asbestos from Quebec. The New Democratic Party had brought forward a similar bill in Ottawa. Last week, Vallières announced he would not be seeking re-election after nearly 40 years in politics. The man, who was plagued with various health issues in the past, said he would be stepping away from politics to enjoy more time with his family. At the press conference on June 18, Vallières said he hoped to tie up a few projects before leaving his multiple political roles. The Jeffrey mine was among the projects discussed. Vallières has been representing the provincial Liberal Party in Richmond since 1981. He also presided over the national assembly between 2009 and 2011. He currently holds the position of minister responsible for Canadian intergovernmental affairs and the Canadian francophonie along with the role of minister responsible for the reform of democratic institutions and access to information.